Situated between Ardenne and Burgundy, the region covered in rolling hills owes its international fame to the sparkling, tangy wine of the same name. It was once considered the king of wines, and the brand name is still protected worldwide. Up until recently the area had been neglected by tourists, but it has plenty to offer: green valleys, oak forests, hills overgrown with wine, and a considerable amount of significant cultural monuments. The Champagne wine region is not identical with the historical territory of Champagne. It also includes some vineyards situated within the regions of Picardy and Île-de-France. The city with 27,000 inhabitants located about 30 km south of Reims in Champagne, that idyllic landscape in north-eastern France that produces the most famous sparkling wine in the world. As the hub of the production area on the Marne, it is home to many wineries and champagne companies, including Moet Chandon, Mercier and Pol Roger. It is said that over 200 million (!) 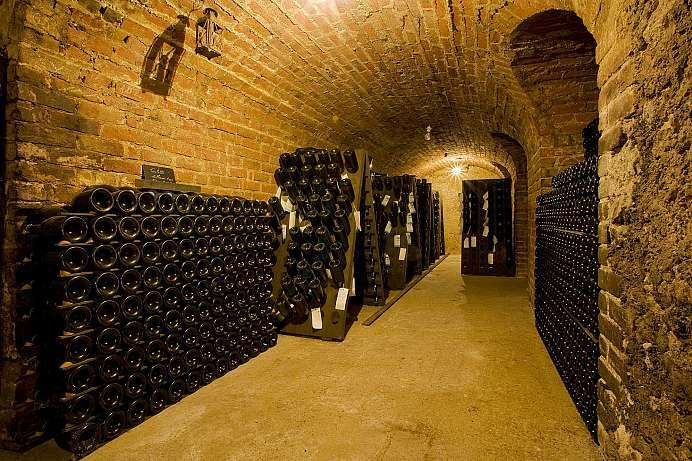 Champagne bottles are stored in the tunnels beneath the city. 6 km northwest of Epernay is Hautvillers, a charming village with an abbey, where the legendary cellar master Dom Pérignon lived. This ancient Celtic settlement is located around 150 km northeast of Paris along the little Vesle River. 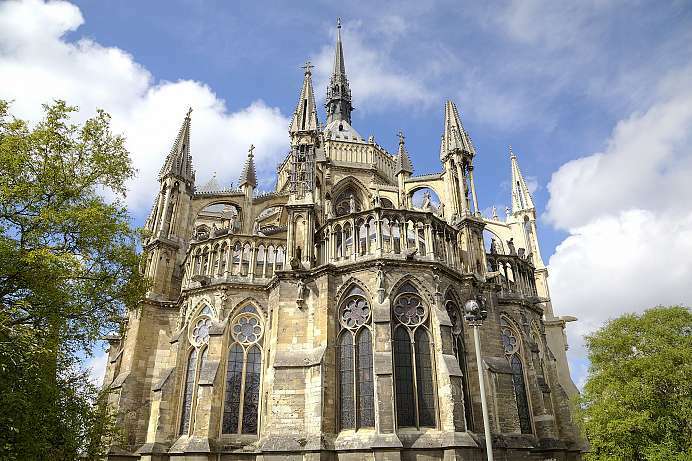 The city of 185,000 inhabitants is mainly famous for two things: champagne and the Notre-Dame de Reims, one of Europe's greatest masterpieces of Gothic architecture and the site where French kings used to be crowned. Joan of Arc led Charles VII into the cathedral to be consecrated in 1429. Today the structure is a World Heritage Site along with the Palais du Tau, an archiepiscopal place built between 1498 and 1509, and the Saint Rémi Basilica together with the adjacent abbey building. Almost as large as the Reims Cathedral, the Romanesque basilica was constructed between the 11th and 15th centuries.